The GPB/AUD is in the trading range: 1.8200-1.8470 and the price is testing the resistance level. If the resistance level is valid. 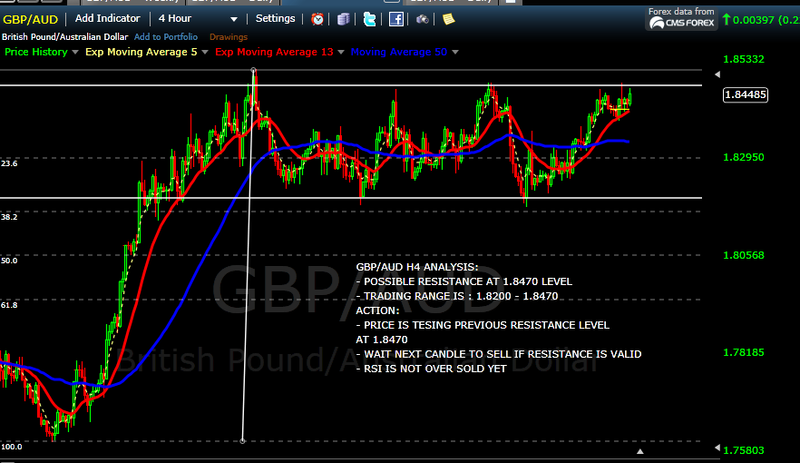 We can sell and take profit in the trading range. This plan is closed as target.